Since I've explored detoxing from the inside out this week I figured I might as well share my after workout cleaning up routine. For years, my regimen was using the liquid soap that is available at the Y. It was one-size-fits-all for me - I'd use it as shampoo and body soap. My skin finally rebelled and I would break out into a rash. 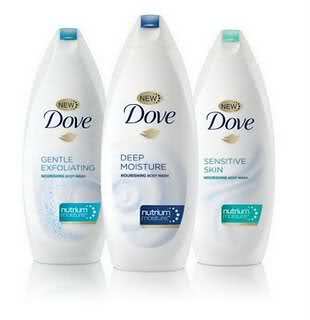 Then I switched to Dove soap bars. It was an enormous improvement. But then, one day while shopping at Bed, Bath & Beyond I spotted Dove liquid soap. I had resisted using liquid soap because I thought I'd go through the bottle in a matter of days. But then I spotted the shower sponges on display right next to the soap. They look really girly and I was hesitant to use them - you don't want to be too effete in the mens shower room at the Y! But I bit the bullet and bought the liquid soap and girly shower sponge. What a difference! The sponges are made of mesh and cotton and exfoliate your skin. The sponges distribute the liquid soap very well, and just a small amount of the soap goes a long way. I seem to cover more terrain using the sponge, too. 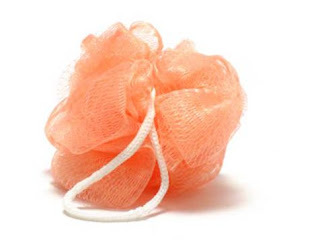 And despite my flashbacks to getting beaten up by the tough kids after gym class in Junior High, no one seems to notice the girly sponge. 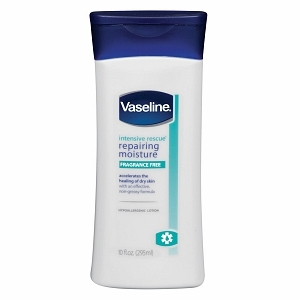 After I shower I pat dry lightly with a towel and with my skin still very moist I apply moisturizer. It's much easier to get on and a little goes a long way. The lotion seals in the water and moisture left on your skin when you're still a bit wet from the shower when you apply. If no one is in the sauna I'll apply the lotion on in there (people get cranky when you open the sauna door if you're just going in for a minute, myself included!). I have a kit locker at the Y where I store my soap, sponge, etc. I put the shower sponge in a plastic bag. No matter how you try to wring out the sponge, there's always going to water left. If you can't hang the sponge on a hook, it will leave a huge puddle in your locker. All the products I use, including deodorant, are unscented. I really can't stand artificial scents. There's a guy at the Y who literally will shower for at least a half hour and then he sprays a huge amount of cologne all over himself. Yuck. If you're using bar soap, give the liquid soap and sponge a try. It's more economical than traditional bar soap, and it's better for your skin. And since I've done the head to toe moisturizing every day, I notice a big difference in my skin. So, indulge! You deserve a little bit of luxury.